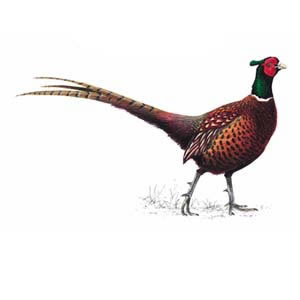 Germanna Community College faculty member Joel Tate has collaborated with Ed "Eagle Man" McGaa on pheasant hunting, "Dakota Pheasant." Donnie Johnston of The Free Lance-Star reports on the book. Front row, left to right: Kristine Hadeed, Ashley Overholser, Angelica Moss, Annette Wilson. Back row, left to right: Kelly Donaghey, Karli Brittain, Andrew Moberley, Julian Greene, Nathan Yowell. 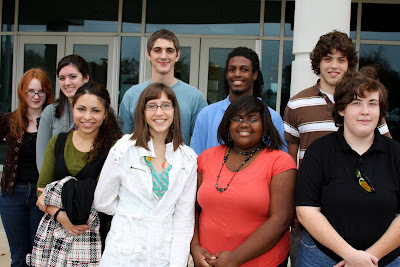 Ten Germanna Community College students attended the recent VCCS 2008 Student Leadership Conference in Richmond. The conference was attended by over 400 student leaders from the 23 community colleges. The students learned how to fight apathy and get more students engaged in campus life. They learned effective leadership strategies, ways to help club members get to know each other, professional business etiquette and communications skills. SGA officers attended a roundtable discussion to share ideas and suggestions with others from across the VCCS. Left to right, Germanna student nurses Meaghan Gallagher, Kristen Fisher, Erica Duggins, Lindsey Haun and Emily Causley help out at Holiday Dinner for the needy at Fredericksburg Baptist Church. Twenty four second-year nursing students from Germanna Community College served up holiday dinners for an estimated 400 people, many of them homeless, at the Fredericksburg Baptist Church last week. One of the GCC students, Lindsey Haun, a Chancellor High grad, is the daughter in law of the church's pastor, Larry Haun. Rev. Haun said he considers more than 500 children in Fredericksburg to be homeless, since many of the live week to week in city motels. For Dec. 18's Holiday Dinner at the church, "When we opened the doors, the were lined up all the way around the block," Rev. Haun said. "It was awesome that so many nursing students from Germanna came to help," Rev. Haun said. "I'm not sure what we would have done had they not shown up." 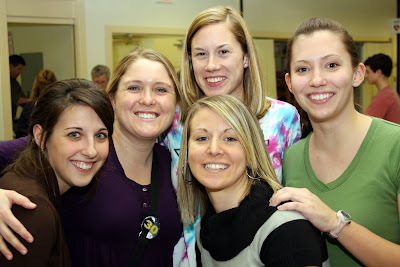 Germanna student nurses at the church were residents from all over the Fredericksburg area. Among them, Meaghan Gallagher is a Massaponax High grad, Kristen Fisher a graduate of North Stafford High, Erica Duggins a Courtland High grad and Emily Causley a Chancellor High grad. On the same night, first-year nursing students from Germanna were serving holiday meals to about 200 children at the Fredericksburg Boys & Girls Club. ASK NOT WHAT GERMANNA CAN DO FOR YOU. ASK WHAT YOU CAN DO FOR GERMANNA. GET INVOLVED. RUN FOR STUDENT SENATE. BE A LEADER. Germanna's Student Government Association is accepting nominations for student senate through Friday, Dec. 19. Voting for senate positions will take place during the first week of the spring semester. Germanna Student Government Association President Catherine Knapp says it doesn't take a big investment of time to make a difference at the college. 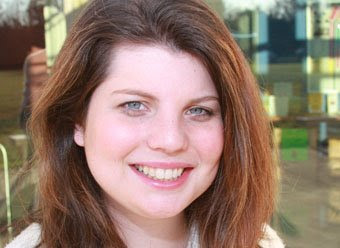 She's urging her fellow students to run for student senate. "Being an SGA Senator requires an average of only 90 minutes per week," Knapp says, and offers an opportunity to "Learn great leadership skills... (while deciding) "where $60,000 of your school fees is spent" and attending leadership and training conferences. Knapp says SGA senators attend a one hour meeting weekly and attend a committee meeting once a month. Applications are available next to room 121 at the Fredericksburg Area Campus' Dickinson Building. Applications to run for student senate must be submitted to Student Activities by this Friday, Dec. 19. REGISTER NOW for Spring classes at Germanna Community College! Shawn Shields registers for classes at Germanna after moving here from New Jersey. Avoid the hassle of long lines and full classes at late registration by signing up this week for the Spring classes you need. Courtney Bradley's been working three jobs while taking classes at Germanna, but still needed help. The Germanna Guarantee Program paid for her books. Germanna Community College student Courtney Bradley, 22, is working three jobs and helping to support her mother while taking classes. Student loans and scholarships are harder to come by during the recession, and many students like Bradley can turn to the Germanna Guarantee Program, which fills in gaps left by other financial aid using funds from local donors. China has accelerated computer espionage attacks on the U.S. government, defense contractors and American businesses, a congressional advisory panel says. The Associated Press reports that cyber attacks from China have become a top American security concern. And The Federal Times says the best defense is to turn to American hackers. "China is stealing vast amounts of sensitive information from U.S. computer networks," said Larry Wortzel, chairman of the U.S.-China Economic and Security Review Commission set up by Congress in 2000 to advise, investigate and report on U.S.-China issues. On Sunday, Cathy Jett reported in The Free Lance-Star that classes at Germanna Community College are helping to thwart hackers-- both foreign and domestic. A memorial service will be held for Dr. Arnold E. Wirtala, Germanna's first president, at 3 p.m., Saturday, Dec. 20, at Fairview Baptist Church at River Club, 10835 Tidewater Trail in Fredericksburg. It is with deep regret that I inform you of the passing of Germanna’s founding president. Dr. Arnold E. Wirtala died Tuesday at home in Fredericksburg, at age 85. He served as Germanna’s president from 1969 to 1980. As Germanna’s first president, Dr. Wirtala led the college through some of its most challenging times, keeping the institution going when low enrollment threatened its very existence. GCC opened with 400 students in 1970, and struggled to meet enrollment goals in the early years. There was talk in the state legislature of closing the college. Dr. Wirtala’s efforts helped give Germanna the chance to grow and thrive as it has today, serving a total headcount of nearly 13,000, and spreading out over an area the size of Rhode Island with campuses in Fredericksburg and Locust Grove, a tech center in Culpeper, and the potential for the opening of a Stafford center in 2009. Germanna SNA 2010 President Donella Fields (at left) is leading the group toward increased community activism. Arlene Brooks (right) won over $300 in a Germanna Community College Student Nursing Association raffle held to raise money for a spring luncheon for second-year nursing students. In the photo above, SNA 2010 President Donella Fields (left) and Secretary Rachelle Snyder (center) deliver Brooks' winnings at Robert E. Lee Elementary School in Spotsylvania Ccunty. Brooks and Snyder are from Spotsylvania, Fields from Lake of the Woods. Today the GCC SNA is helping Habitat for Humanity build a house in Orange County and is planning to work with the Boys & Girls Club in Fredericksburg. 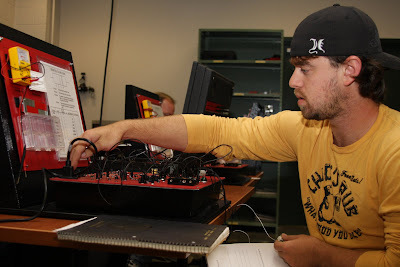 Student Thomas Payette of Orange County works on electrical experiments in GCC's Industrial Maintenance Tech lab at the Daniel Technology Center in Culpeper. Germanna Community College is offering a Career Studies Certificate in Industrial Maintenance Technology at its Daniel Technology Center in Culpeper. The program is designed to meet the growing need for trained industrial maintenance technicians and to help those already in such jobs upgrade their skills. Thomas Payette, a 22-year-old Orange High School graduate who works at Eagle Eye Electric expects the skills he's learning to advance his career as an electrician in an industry hungry for young workers. "Over 40,000 people will leave our industry over seven years," Virginia Manufacturers Association President Brett Vassey says. "We have the oldest working population of any sector-- including government-- in the Commonwealth." Germanna's new lab boasts “mechatronics” technology combining mechanical and electrical engineering with information systems. The program includes eight courses. Much of the work may be completed online. Tim Walker, an instructor in the GCC program, said many local companies are paying for their employees to take the courses. "They'll be getting back a better mechanic, a better worker," Walker said. For more information on the program, call GCC at 540/937-2900 or 540/891-3012.